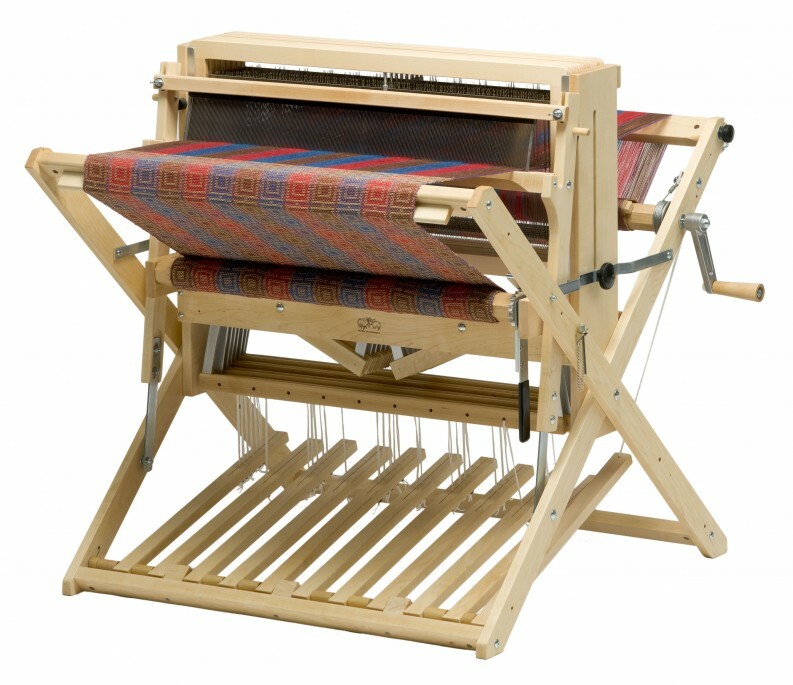 The Baby Wolf loom is the most uncompromised small loom available today. 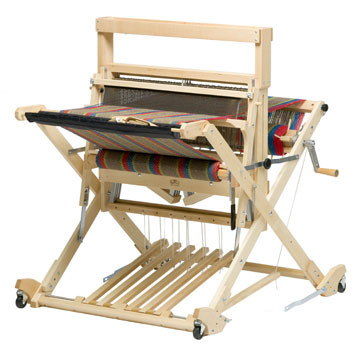 It has all the advantages of portability while maintaining the best big loom features. 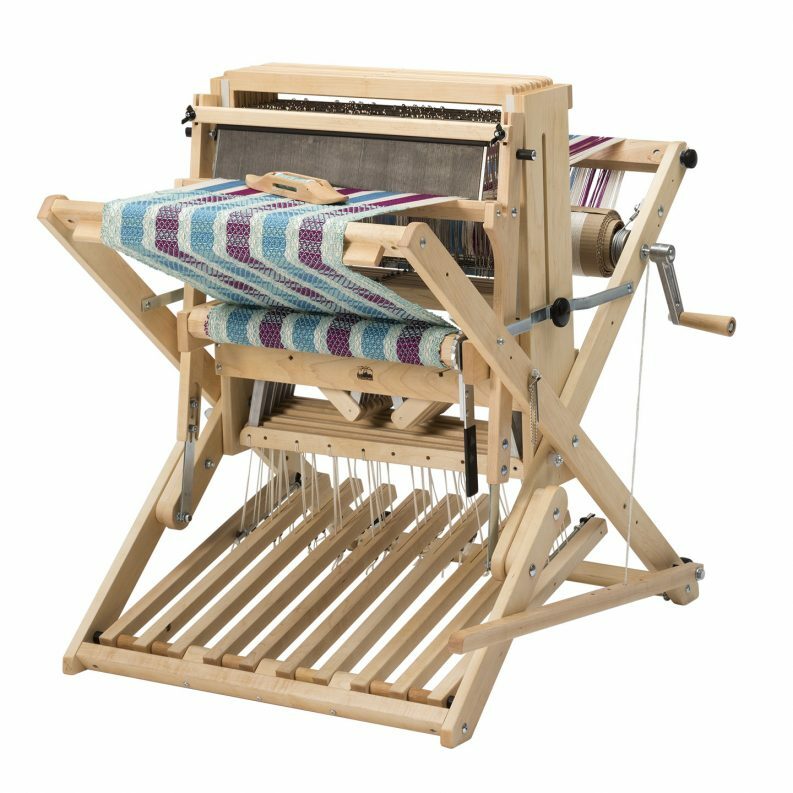 If compactness and portability are what you are looking for, you’ll be interested in this thoughtfully engineered loom. The weaving width of the Baby Wolf is 26″. You have your choice of four or eight shafts, or you can choose our Four Now-Four Later* model which allows you to expand from four shafts to eight shafts at any time. The X-frame design is exceptionally stable and can be easily folded to a depth of 18″. The adjustable beater allows the position of the shuttle race to be raised or lowered if necessary. The Baby Wolf employs a friction brake on the warp beam which lets you advance the warp smoothly. “Four Now – Four Later” (4N4L) is an eight harness loom shipped with only four harnesses installed, but with the capacity to add an additional four harnesses. You can purchase a kit to add four harnesses at a later time. 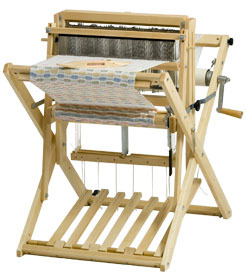 4N4L looms are shipped with all the heddles, tie-ups and other items normally included with an eight harness loom. Price shown is for an 8 shaft Baby Wolf. Stroller and High Castle not included. Please feel free to call Linda with questions at 252-449-8422. High Castle Shown is Extra. Free Shipping in the US. 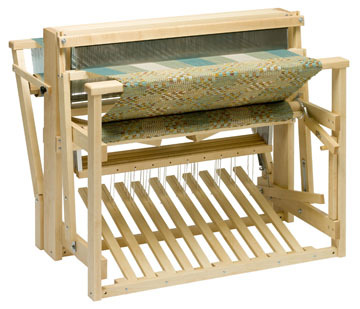 Please note that all looms are made to order and shipped directly from Schacht.